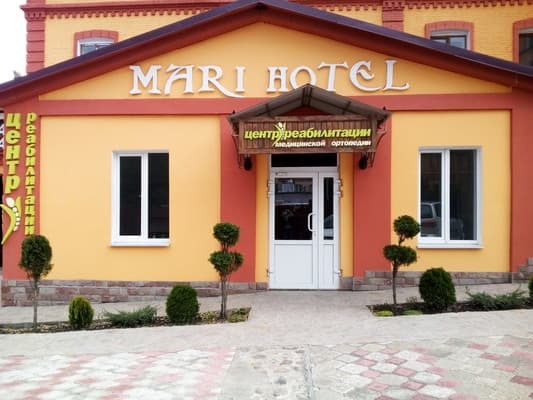 Hotel "Mari Hotel" is located in Mariupol in the heart of the city. 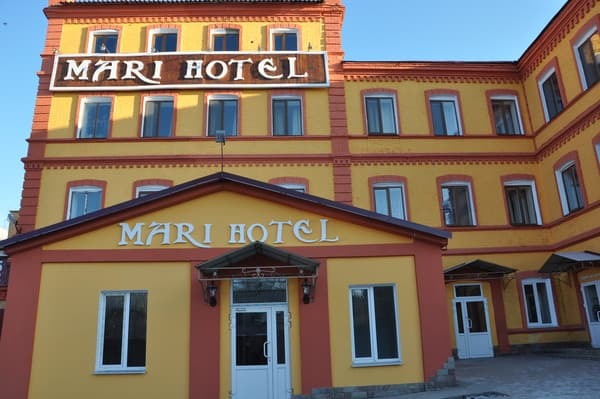 The hotel has 23 one-room rooms with all amenities and 24-hour water supply. 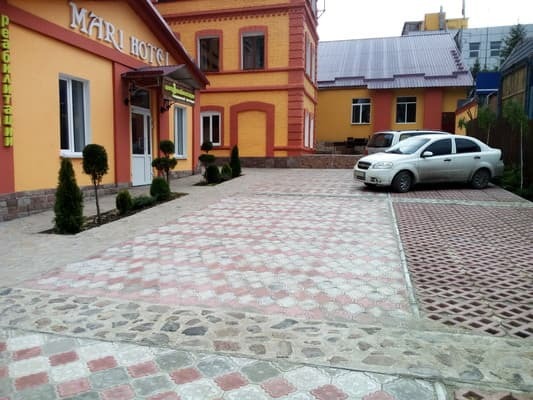 The hotel offers free parking in the hotel courtyard and free Wi-Fi access. Guests can order breakfast at the hotel. Nearby are the supermarket "Szczyy Kum", the Central Market, the shopping center "Ukraine" and the shopping center "Bravo". On the territory of the hotel there is a rehabilitation center for medical orthopedics. 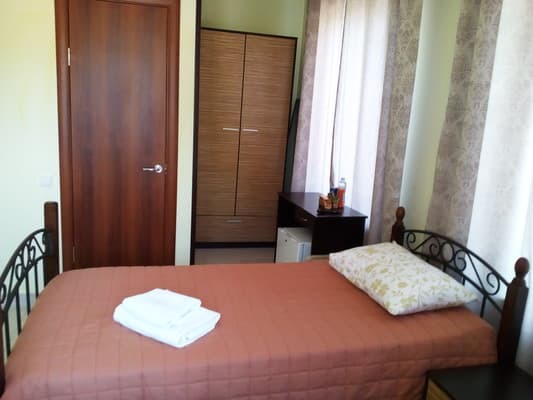 Description of the room: One room with a total area of 20 sq.m. 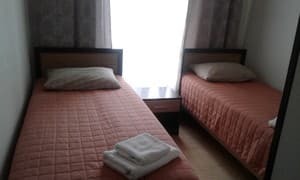 Most of the rooms are equipped with a shower, some rooms are equipped with a bath. 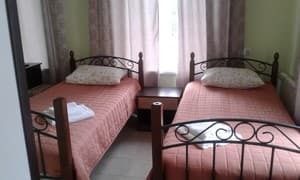 Rooms of this category are provided with one double bed or two twin beds. 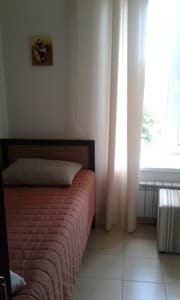 Description of the room: One-room superior room with an average area of 26-28 sq.m. 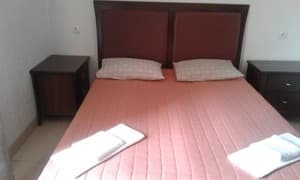 Description of the room: One spacious room for two people with one double large bed. 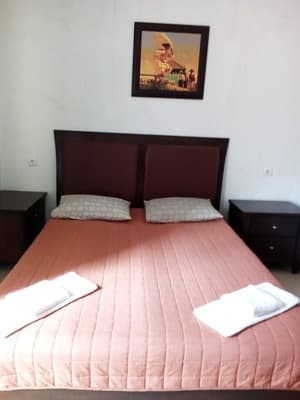 Description of the room: One room. 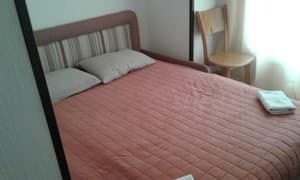 Equipped with two single beds that can be moved and an orthopedic sofa. Единственный плюс отеля - возможность ставить машину во дворе. Номер - микроскопический. С этим можно примириться) А вот с тараканами я мириться не хочу. А они есть. Чайник - за дополнительную плату. Погладить одежду - за дополнительную плату. Завтрак (который входит в стоимость номера) выглядел так - тарелка каши без масла и явно позавчерашняя котлетка. Хлеба не было. Я это есть не стал. На следующее утро предложили кашу и вареную рыбу неприятного вида, тоже без хлеба. В общем, завтраки в данном отеле отсутствуют. Guests can order breakfast at the hotel. 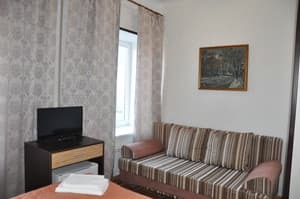 Nearby are the supermarket "Szczyy Kum", the Central Market and McDonalds, the nearest cafe is 150 m.
Hotel "Mari Hotel" is located in Mariupol in the city center, 120 meters from Maxim Gorky Square. To the station of the railway station is 7.1 km. From the railway station, guests can drive to the hotel by shuttle # 307. Drive to the stop "Gorky Square (about 25 minutes drive), from the stop to the hotel walk 200 m.